Located on the parking lot level of the Bretton Woods Base Lodge, Nash's General Store is a unique gift store with that skier-on-the-go in mind! Grab a quick snack to enjoy on the chair, then swing by at the end of the day to pick up that t-shirt or ball cap you saw earlier, as well as that one of a kind gift for that ski enthusiast on your list or a great game or activity to bring back to the condo to entertain the kids that night. Open during the winter season. For more information please call (603) 278-4424. Located at The Lodge at Bretton Woods the Mt. Pleasant Market has all your grab and go needs! The perfect place to stock your Townhome cabinents for your stay or purchase some local favorites from New Hampshire maple syrup to Polly's famous pancake mix. The shop is open daily from 6 am - 11 pm. There are a few gas stations and convenience stores located right in Twin Mountain, New Hampshire. Just five miles West, at the intersection of Routes 3 and 302 in Twin Mountain, NH, there are several stations to choose from. Coming from the East, the closest gas station will be in Glen, NH, 5 miles North of North Conway, NH on Route 302/16. A gas station/convenience store with the usual items and pre-made snacks and food is located right here in Bretton Woods - less than one mile from anywhere in the Resort. From the South (I-93): There are a couple of major grocery and department stores right off I-93 in Tilton, NH (exit 20). From the West (I-91, Vermont): Major grocery and department stores are available in Littleton, NH at exit 42off I-93. From the East (Route 16/302, North Conway, NH, Maine): There are several major grocery and department stores available just south of North Conway on route 16. A smaller grocery store is available in Glen, NH at the intersection of routes 16N and 302W. 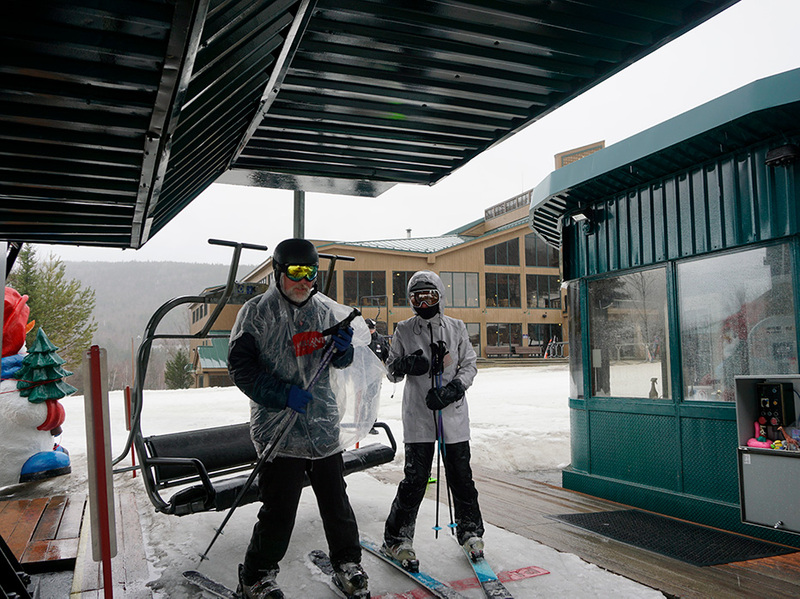 For your convenience, ATM machines are located in the Omni Mount Washington Hotel and the Bretton Woods Base Lodge. From the South (I-93): In addition to exit 20 in Tilton, NH, a number of bank branches are available off exit 32 in both Lincoln and Woodstock, NH. From the West (I-91, Vermont): Various bank branches are available in Littleton, NH at exits 41 and 42 off I-93. Also, a bank branch 20 minutes from the Resort on route 302 in Bethlehem, NH. From the East (Route 16/302, North Conway, NH, Maine): There are several bank branches along route 16 in Conway and North Conway on route 16. The closest bank office is on route 16/302 in North Conway Village (Citizen's Bank).